In addition to our full-service design and build studio, 5253 Design Collective offers a number of smaller craft brands that are operated by members of our collective. These are passion projects that blend the line between art and craft and artist and patron. Rustic vibes. Reclaimed materials. Solid construction. Pieces with character. 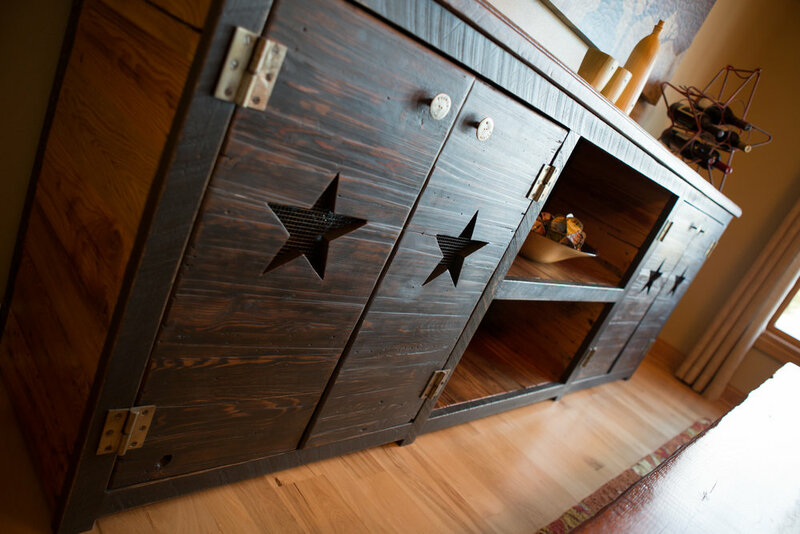 What started as a passion in a garage turned into Lucky Star Workshop, a small boutique that specializes in crafting one-off furniture pieces that ooze with charm and character. No two pieces are the same because every client has something they'd like to express in their home.